July 2018: What are we going to do with all this stuff? 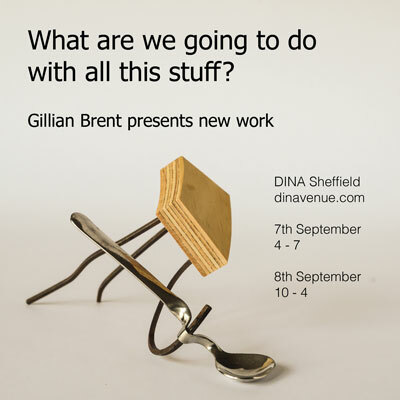 To mark the end of my 2018 sabbatical, I am presenting new work at DINA Sheffield. Friday 7th September, 4-7 and Saturday 8th September 10-4. I will be showing three new series of work; The Dilemma of the Non-ephemeral Artefact, Making a Promise and Other Possibilities for Non-essential Utensils. This is not a selling event; it is an opportunity for me to share what I have been making and get feedback from friends, colleagues and anyone else who drops by. On Friday there will be drinks and nibbles. On Saturday DINA Diner is open for vegetarian/vegan food and drink. The event will take place upstairs in the Jara room, the entrance of which is on Bethel Walk, off Cambridge Street, right next to DINA Diner.